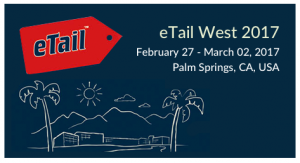 eTail is where the top minds at America’s most successful retailers meet and learn. Find the most disruptive content, designed to help you optimize the profits. No commercials. No egos. We cut out the fluff to give you hundreds of strategic takeaways. Guaranteed. Transformative. Inspiring. Actionable Insights. 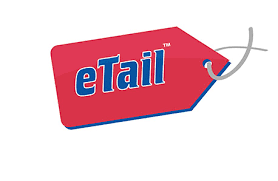 That’s eTail. To learn more, download the agenda here. Launched in 2002, Future Digital Finance (previously NetFinance)will be held April 24 – 26, 2017 at Amelia Island, Fl. it is the conference for digital finance innovators who are paving the way forward at America’s largest financial institutions. Since it’s launch in 2002, Future Digital Finance has become the #1 event for digital innovators in financial services. It is especially designed for Financial Institutions – 93% of our past attendees would recommend the event to a colleague. Future Digital Finance has proven to be a rich industry resource for networking, strategy, and cutting edge information. Future Digital Finance is a high level conference that continues to bring together the most senior level speaker faculty enabling attendees to hear from the people making real decisions. In fact, 85% of speakers are at a VP level or above. They have carved out three days in the midst of a still challenging business environment because the payback is tremendous at this event. Learning the latest trends in innovation, mobile, and omni-channel customer experience will add value to your organization in the long run. Future Digital Finance combines a large exhibition hall, with unparalleled networking, benchmarking and learning opportunities to create a first class event. For compete information and to sign up, go to the Future Digital Finance Website. The Web Marketing Association is a media partner of Future Digital Finance. Attend Industry Conferences for Free! This month, the Web Marketing Association is holding a drawing to win a free full conference pass to two outstanding industry conferences. ad:tech New York – November 2-3, Javits Center NYC — From Fortune 100 to emerging start-ups, innovators across industries converge to discuss the new era of advertising and marketing technology. This 20th Anniversary of ad:tech looks to be the most comprehensive yet with exciting hands-on exhibitions, invaluable learning opportunities, and the players reimaging the future of the industry. NetFinance Interactive – Nov 29-Dec 1, Carlsbad CA — The event for FS executives, NetFinance Interactive is the one-stop shop for digital and multi-channel thought leaders. It’s an event where you’ll learn, gain inspiration and find solutions for your business – all while building lasting relationships. To enter either drawing or both, visit the WMA Contest Page before the end of day on October 25, 2016. October 11, 2016 | In Events, Interactive Briefing, Web Marketing Association | Comments Off on Attend Industry Conferences for Free! The event for Financial Services executives, NetFinance Interactive is the one-stop shop for digital and multi-channel thought leaders. It’s an event where you’ll learn, gain inspiration and find solutions for your business – all while building lasting relationships. This year, we’ll have topics covering the full spectrum digital success from online marketing and mobile to customer acquisition and retention strategies. At NetFinance, we aim to spark new insights for you so if you have a challenge, we’ve got you covered. The 4th Annual Digital Marketing Exchange has once again raised the bar with cutting-edge content led by the companies you want to hear from! Our invitation-only event presents speakers paving the way of digital transformation, delivering leading practices and dialogue-driven debate on key topics of interest. Our exclusive group includes digital marketing leaders from companies such as The NY Times, Zappos, Kiehl’s, AT&T, Adore Me, Brown-Forman and much more! Event will take place September 18-20, in San Diego, California. Click here to request an invitation. The Web Marketing Association supports a number of industry conferences that we feel are worthy of our members attentions. One such conference is eTail East, August 15 – 18, 2016 at the The Sheraton in Boston.